Are You in the Market for a Lab Oven? Laboratory ovens are common instruments in most laboratories and are used across most scientific disciplines. Lab ovens are most commonly less than 12 cu.ft. in volume, although a great variety of sizes are available in benchtop, stackable, and floor-standing models. Over 25% of survey respondents reported using larger ovens in their labs. While lab ovens are most commonly used for heating and drying (75.6% of respondents), they find a variety of other uses including temperature-linked experimentation (41.7%), evaporating (37.0%), baking (16.5%) and sterilization (11.8%). Are interior chamber space / weight of my sample and floor space in the lab a match to application and lab? Do I need any computer interfaces, alarms or safety devices on my oven? Are accessories like data loggers, viewing windows and modifications like access ports available from the manufacturer to suit my specific needs? Click here to read more about choosing the right Lab Oven for you. HM-4000 Multidizer is designed with a variety of motion options - roller, shaker, orbital, rotating - all in one unit. Shake, rock, roll and rotate motions! Two independently operating compartments allow for hybridization and blotting procedures requiring different settings, temperature or motion. Read more about the HM-4000 on the UVP website. The Drummond Pipet-Aid XP2 advances the industry standards for pipetting comfort, convenience, and control. 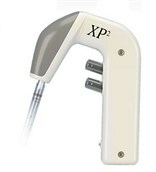 Building on the years of experience of providing state-of-the-art tools that make your job in the laboratory safer, easier, and more convenient, the Pipet-Aid XP2 delivers more. The ergonomic design is more comfortable to handle. The new power source enables more convenient extended operation and the new more powerful pump provides great control and quieter operations. The unit is supplied complete with a power/supply charger, 4 extra filters, and a stand which enables it to be set down without contaminating the pipet. What kind of the micro liter tip is used to pick up less than 5 micro liter volume of solution? 100 micro liter tip or 200 micro liter or others? Advise this member. I have a Claurus 580 GC and can only run one column tomorrow. I can turn FID B off on the GC itself, but when I write the method, the settings are not greyed out for it in TotalChrom and I cannot figure out how to turn it off in the method. I think this is the reason for "value out of range error 61"? ( I have a blocked nut and waiting for replacements, so I can't put a column on injector B/FID B.) I know there must be a way to run this GC with only the one column I need (Inj A/FID A) but I'm having a real struggle and an impending deadline. Advise this member. What is the typical error associated with the analysis of alloys, how is it determined, and what is the best form of this alloy to achieve the most reliable results? Advise this member. BioCision, LLC, a leader in advanced biomaterial sample handling and standardization tools, and Brooks Automation, a global provider of automated sample storage systems for compound management and biorepositories, today announced the launch of CryoPod™ Carrier, a jointly developed liquid nitrogen (LN2)-based system for the safe, reliable and protected handling and transport of cryogenic biospecimens. Read more. The introduction of IHC HDx Reference Standards provides histopathology laboratories with a consistent and reproducible source of reference material for the development and quality control of IHC assays. The independent external controls contain precisely defined protein expression levels presented on one slide, providing scientists the ability to easily determine the sensitivity of their assay. Read more. The Thermo Scientific TSX ultra-low temperature freezer features natural refrigerants for lower environmental impact and higher cooling efficiency. Due to its intuitive design, the TSX freezer uses up to 50 percent less energy than conventional refrigerant ultra-low freezers and delivers temperature uniformity that continuously adapts to a laboratory’s environment. Read more. The firm was founded by Dr. Doyle Udy, an analytical chemist who was looking for better ways of testing proteins and foods. From it's 10,000 square foot laboratory and production facility at 201 Rome Court in Fort Collins, UDY Corporation develops and produces competitively priced analytical test and sampling equipment for food and feed industries throughout the world. Visit the UDY Corporation website. Users Keep Getting a PIE Error related to the High Voltage. It is recurring at a regular interval. Vacuum appears to be good. It takes a long time to move from a Warm state to Ready state. Any Suggestions? Advise this member. When the cfx384 is finished booting up, the message "storage card not found" shows up on the screen and the computer does not recognize the cfx384. What do we do? Advise this member. The touch screen of Dr 2800 not responding. Only some portions of the screen are responding to touch. We need help! Advise this member.